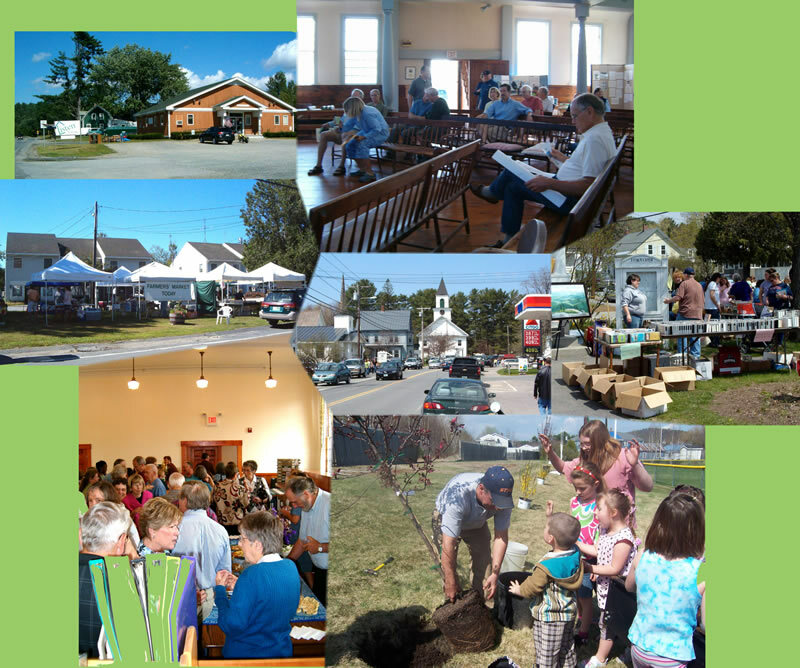 Town Government and civic and community groups. 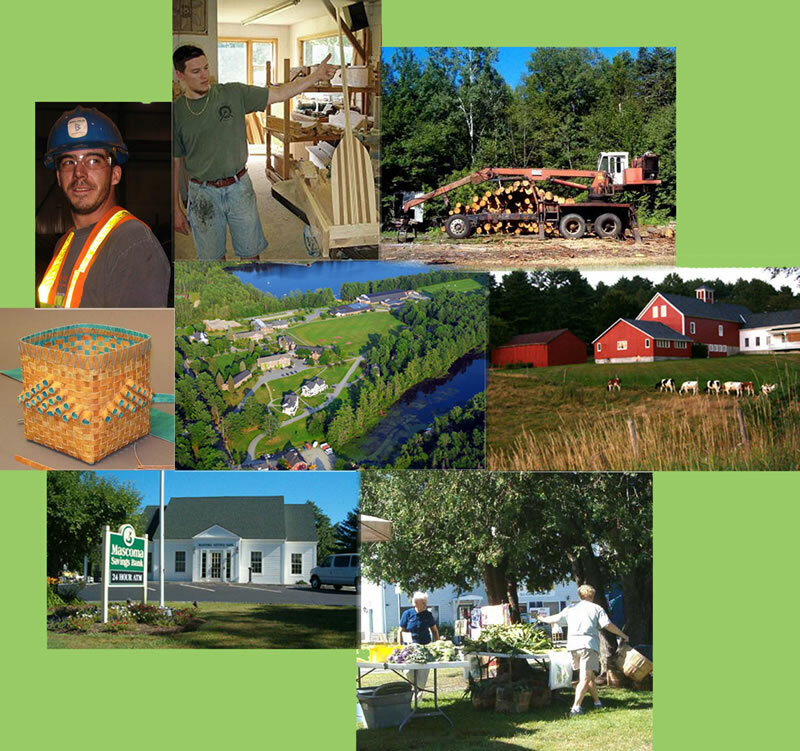 For Boards, Departments & Town Information, visit our Town Government Page or the Town Offices Tab. 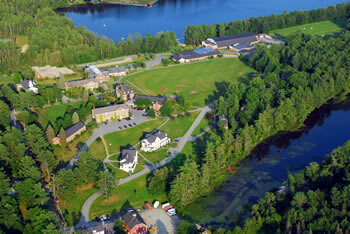 A place of Opportunity that provides the perfect setting for Small Businesses, Entrepreneurs & Craftsmen in the natural beauty that draws visitors to our lakes, trails and mountains. We come from a variety of backgrounds, have diverse talents, hold independent views, and express ourselves in many different ways. 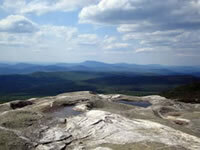 For a closer look at how you might find your perfect niche here, visit our Opportunity Page. 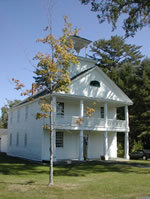 The Heritage of New England still plays a strong role in Canaan. We value our history, meeting places, old ways, and lessons from the past. Our heritage helps us to embrace the future. 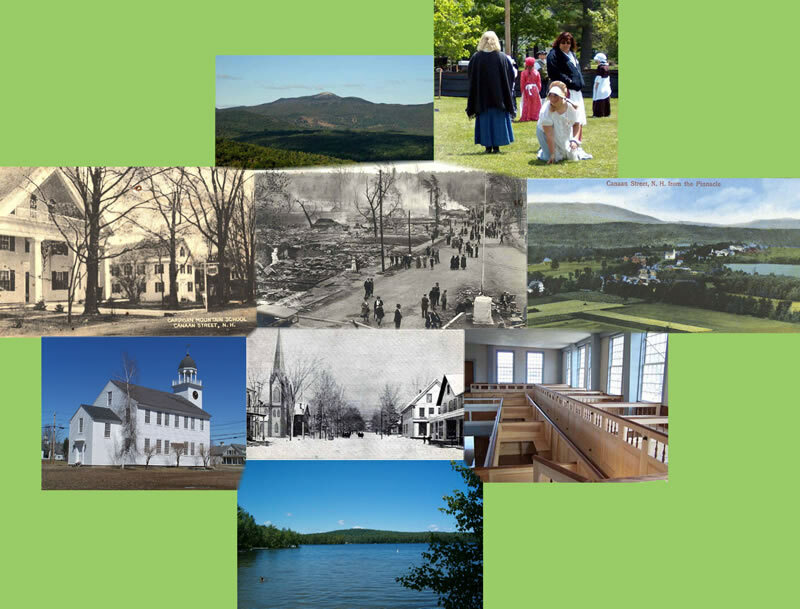 For images from our past, understanding of our history and our efforts to retain our traditions, visit our Heritage page. 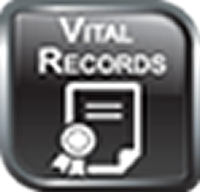 To View regular Town Office Hours & Contacts, please view the "HOURS/Contacts Tab" above. To request Town Notices by email, Click Here. *The Town Clerk would like to remind everyone that dogs must be licensed at the Town Office by April 30. Failure to do so may result in late fees. *On Saturday, April 27, the Fire Department will be running a training that will involve burning brush at the Transfer Station. Pursuant to RSA 231:191 any person who violates the maximum weight limits shall be required to restore the highway if the Town has reason to believe that the highway damage or disturbance is attributable to vehicles or activities under such personâ€™s control or responsibility. 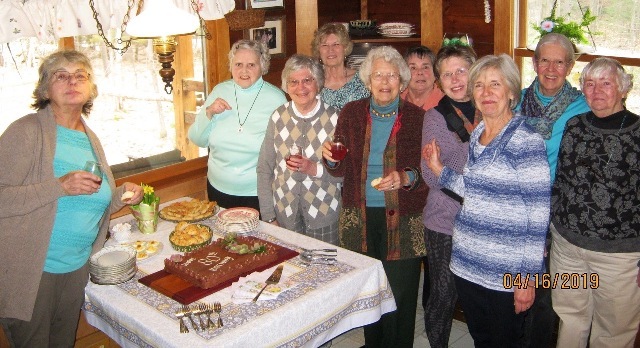 Seventeen current and past members of the Canaan Bird & Garden Club met in April to celebrate the 80th anniversary of the club. 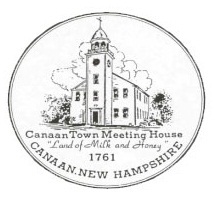 The first meeting of the club was held April 15, 1939 at the Hinman house on Canaan Street (currently owned by the Goins) with Zepheryn Clark voted in as the first president of the club. Folks enjoyed reminiscing and looking over old minutes/pictures/etc. that Nancy Loomis provided from our archives. 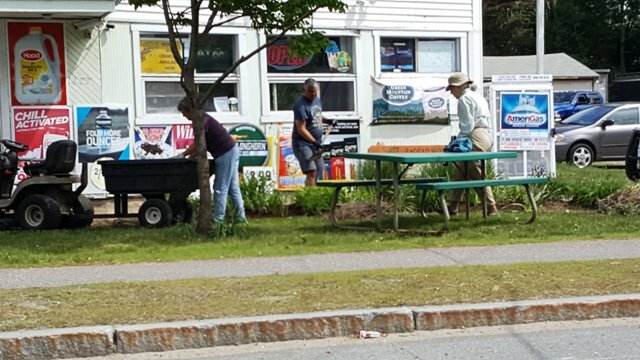 This spring Cardigan Mountain Art Association willÂ restore and display Canaan's historic stage scenery. 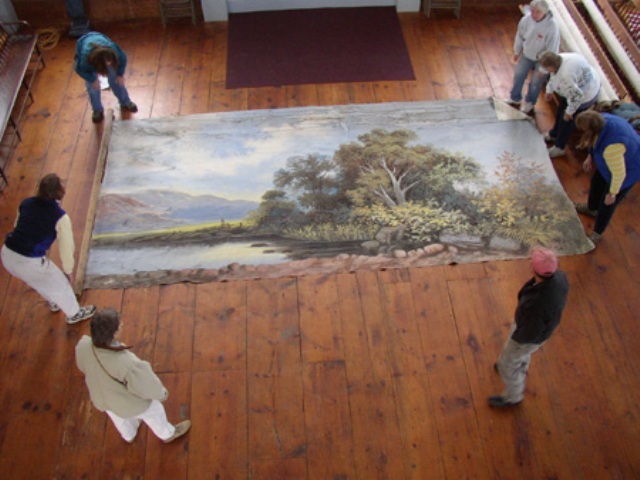 CMAA has engagedÂ Curtains Without Borders, Inc., a Vermont-based nonprofit conservation team, to work with volunteers to bring the painted 'drop' curtains back to life and in public view. 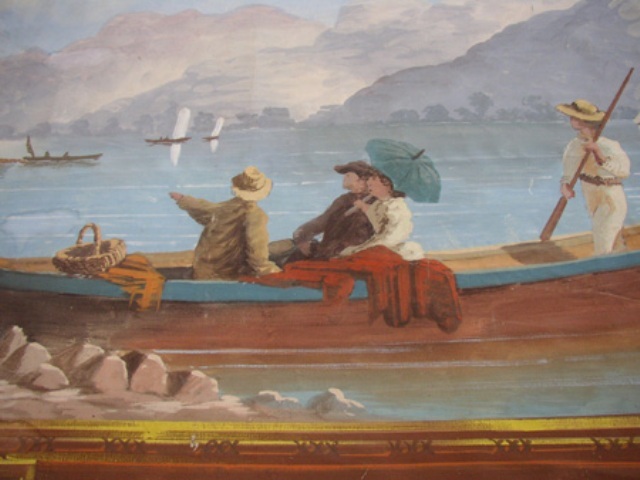 The four 1890s painted curtains (a grand drape and 3 backdrops used at the Canaan Meeting House when it had an 2nd floor stage) and the 1924 grand drape from the Indian River Grange Hall are part of Canaan's cultural history and great examples of scenic art. Volunteers are essential for the project's success and visitors are welcome to stop by and see work in progress. Please call Judith Kushner at 603 523-4337 (or emailÂ judith.kushner@gmail.com) if you would like to help and for more information. Thank You Canaan Bird & Garden Club!!! On the snowy morning of Nov 27 members of the Canaan Bird & Garden club gathered to make Christmas wreaths for the Canaan Library, Mascoma Health Center, downtown Gazebo plus the 3 historic buildings on Canaan Street.Â In addition they decorated Christmas Mugs for the tables at the Senior Center.Â The Club sends Canaan its best wishes for a joyous holiday season. After almost 19 years of service, Terri Purcell has retired from her position as Town Tax Assessor on April 27, 2018. 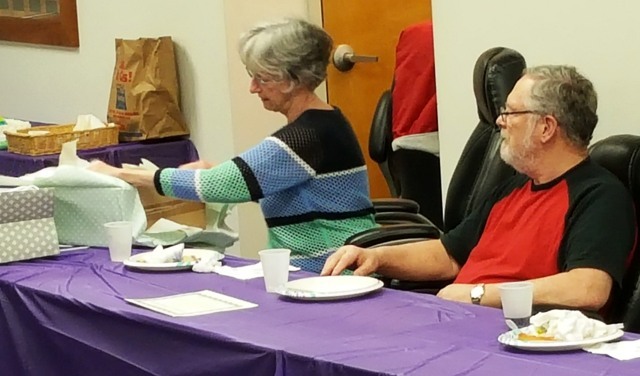 She was feted at a going away party with town employees and friends. 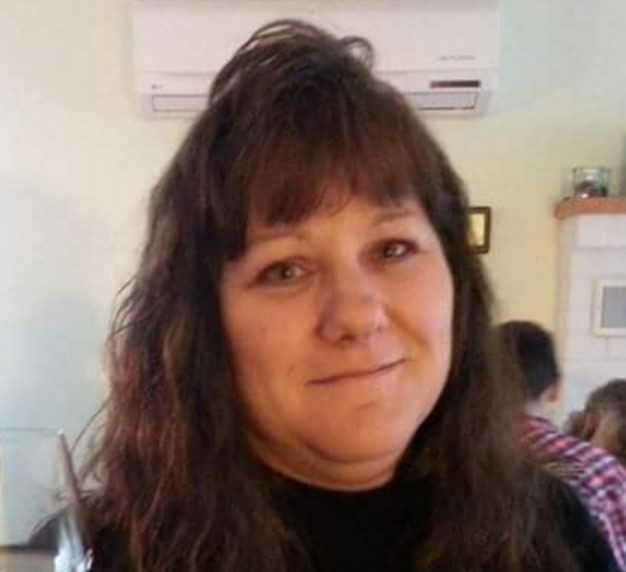 On May 29, Sherrill Zani began as the new Town Tax Assessor. 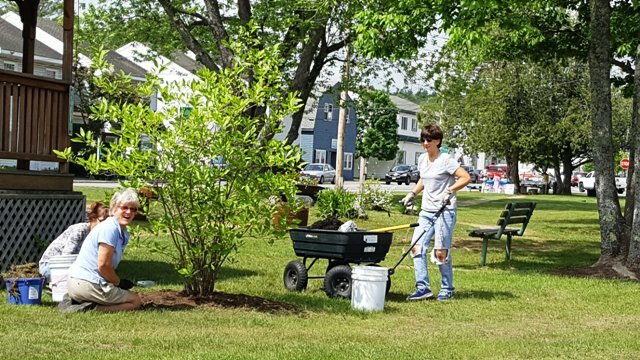 On Saturday, June 2, the Friends of Canaan Village held an amazingly successful Spring Spruce Up Day. 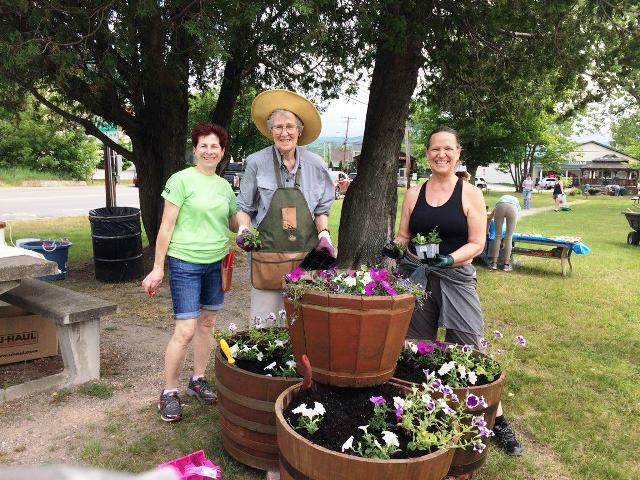 Their efforts resulted in cleaned up lots and gardens all over the downtown area. 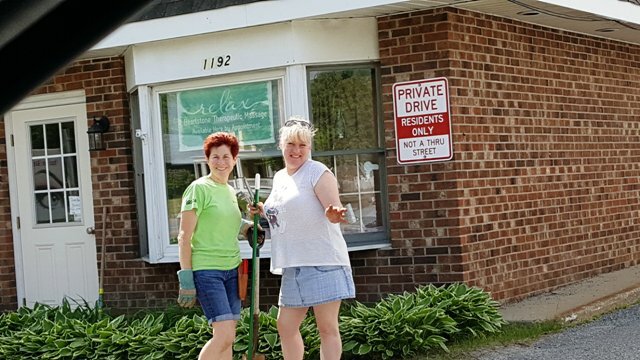 We would like to thank the many people who took time from their Saturday to help sweep, pull weeds, plant flowers, spread mulch, run a bake sale, and give encouragement. It was a great day for friends to meet and work together. 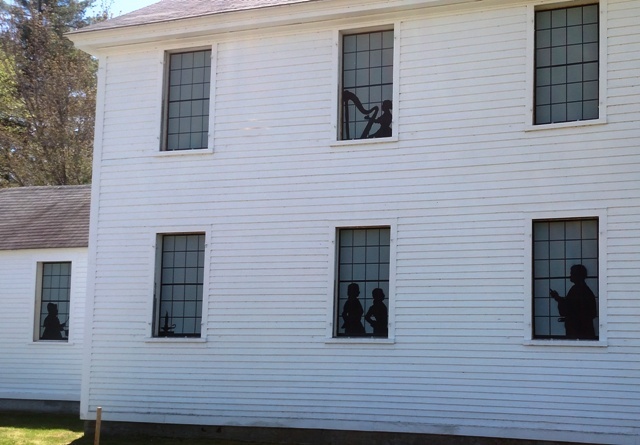 As part of the museum window restoration project, temporary window covers have been installed with period silhouettes visible. This is on the north side, or parking lot side. These will remain in place for several months. Canaan Library Dedicates Little Free Library! Canaanâ€™s Little Free Library is waiting for you! 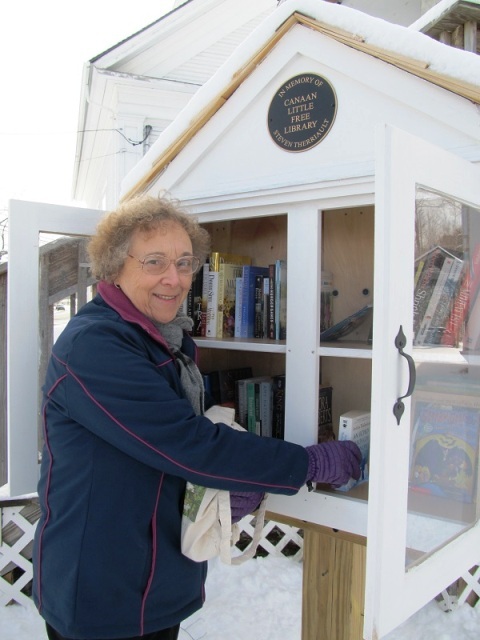 On Saturday, April 7 we celebrated the addition of our first Little Free Library with a dedication in memory of Canaan resident and library lover, Steven Therriault. Our Little Free Library is an opportunity for us to share our love of reading, build community, and encourage others to do the same. Everyone is welcome to take a book out of the Little Free Library at anytime. Go ahead, itâ€™s all right, itâ€™s what itâ€™s there for. After youâ€™ve finished the book, you can bring it back to the Little Free Library, or pass it on to someone else â€“ itâ€™s that easy! Our motto for the Little Free Library is â€œTake it. Read it. Share it.â€� If you are so inclined, you may also add a book or two that you think someone else might discover and love. Thank you to the United Methodist Church of Canaan, NH for hosting the site of our Little Free Library, Jonathan and Walker Garthwaite for preparing the site and sinking the post, Peter Jopek for building and installing the Library, and Maxine and Nelson Therriault and their family for helping us honor Steven in this amazing way. 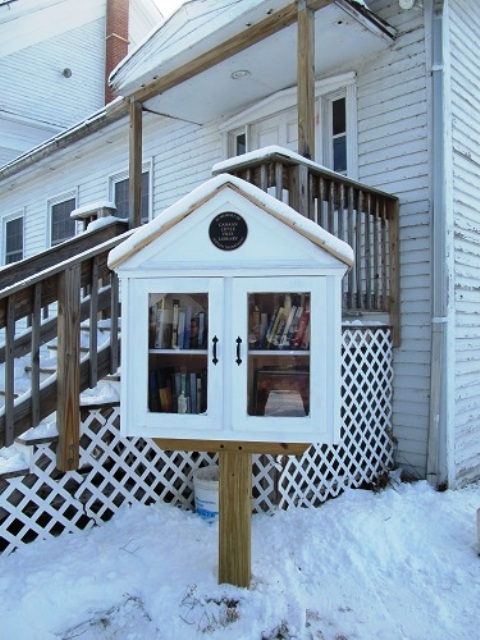 Our Little Free Library is located at 1150 US RT 4, Canaan, NH 03741. 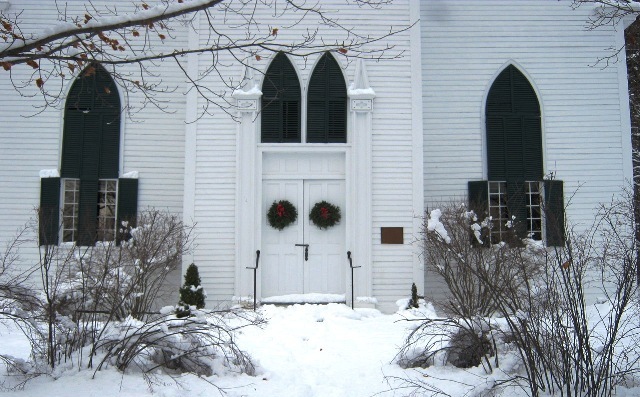 Check out the "Photos" Tab on the Meeting House Page to find out about a special historic find related to Canaan's dramatic past! 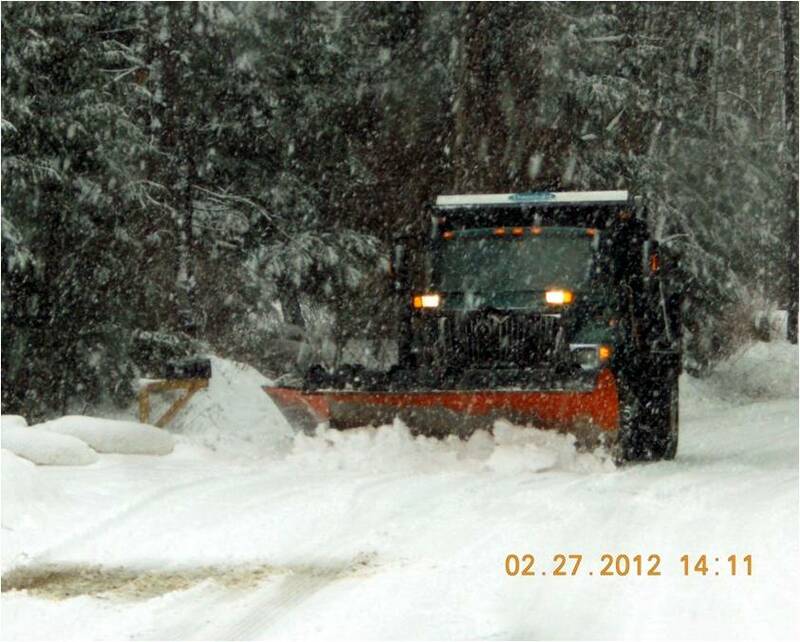 In December and January Canaan was pummeled by repeat snow and ice storms as well as extended periods of below zero temperatures. 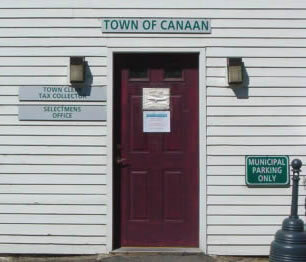 The Town of Canaan spent more money on road salt in 2017 than had been spent in any of the 10 previous years. 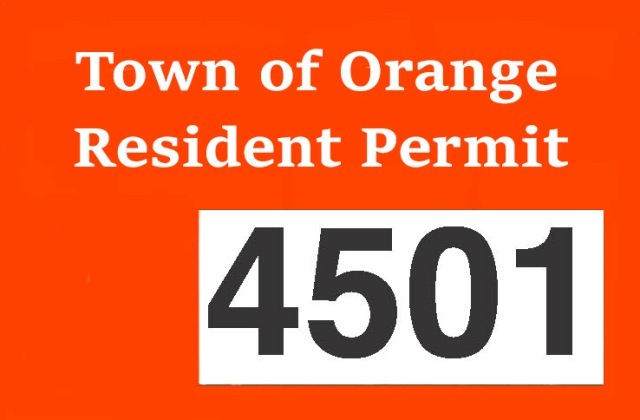 In January, the Town of Orange decided to accept a standing offer from Canaan to provide transfer station services to the Town of Orange. 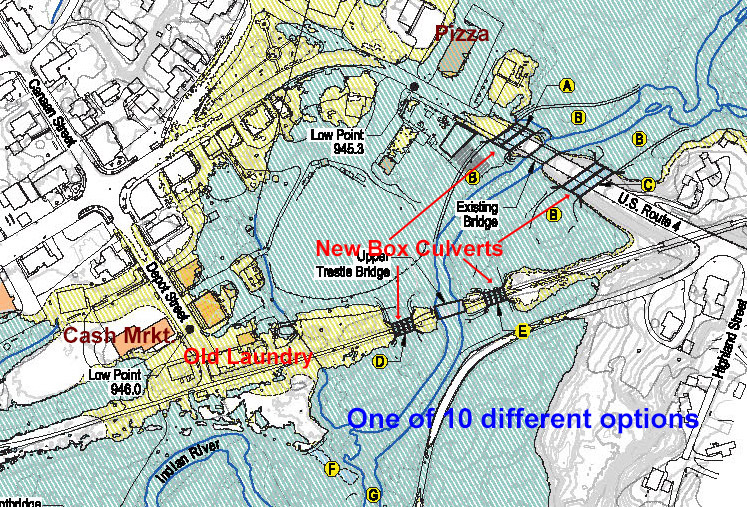 Orange will be paying the proportional cost of the station based on household count. This agreement helps Canaan since Orange will be picking up some of our fixed operational cost including wages. Orange will save about 60% of what they were paying for trash and recycling. 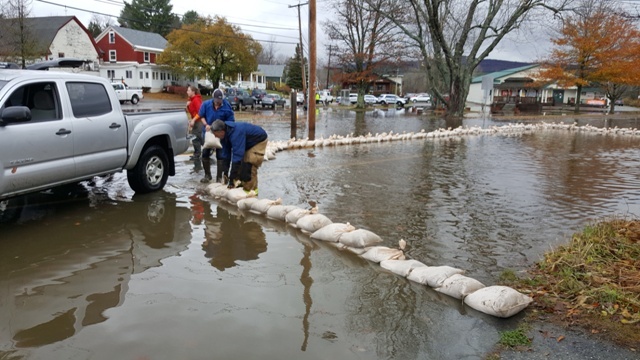 The Village and many other areas in Canaan saw floodwaters that reached levels that were nearly as bad as the Hurricane Irene floodwaters. 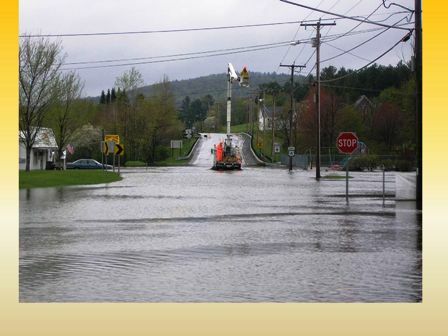 The downtown area flooded along Route 4 from the west end of the common to the bridge by Canaan Village Pizza. Many roads were washed out. At one point South Road was only accessible by Ball Park Road. Wind increased the damage by leveling trees across roads. 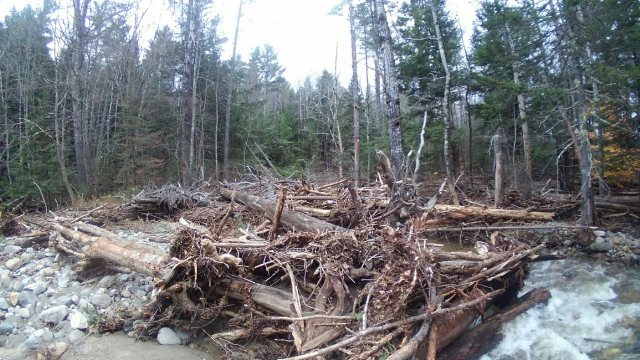 Orange Brook had more than ten â€œdamsâ€� that were created by whole trees washing down the stream. 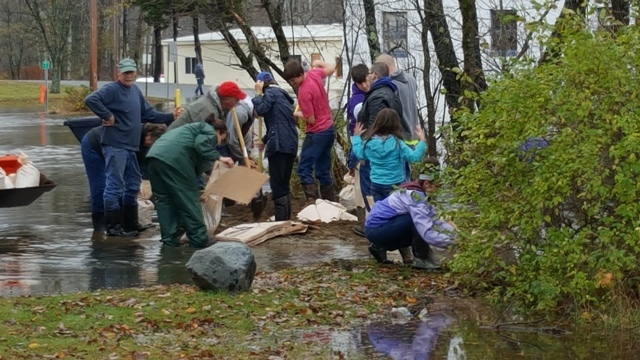 One bright spot was the volunteer effort that sand bagged three commercial businesses. 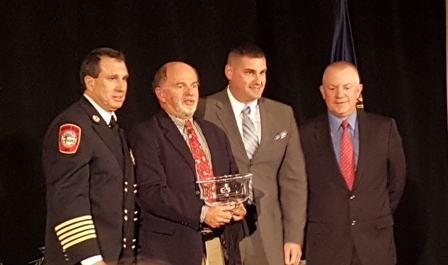 Fire Chief Bill Bellion Wins Award! Learn more on the Fire Department Page! 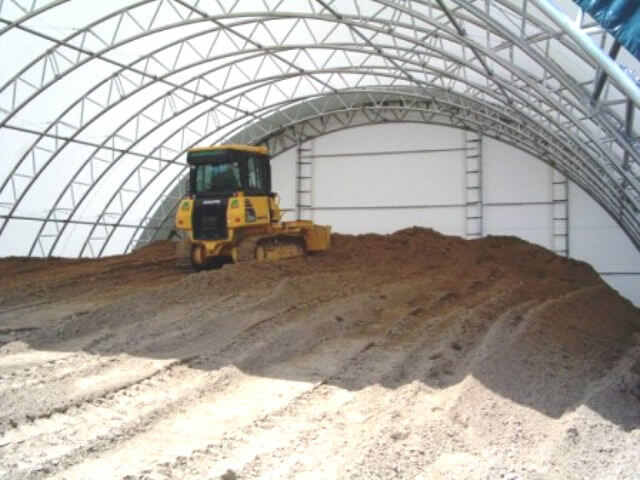 The flood mitigation effort is moving forward. We have retained the services of HEB Engineers to prepare a funding request foe installing spillways on the rail trail. A preliminary presentation was made to five State agencies and two community groups that mange the rail trail. The proposed improvements are all on State property and will require permission. In addition, we are looking for State and Federal funding. After the presentation, a task force of the agencies will be working to prepare a plan of action with the assistance of our engineers. 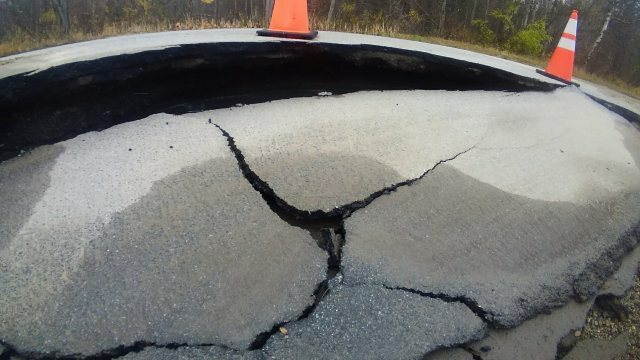 Heavy summer rains in 2017 resulted in 12 damaged roads in Canaan. 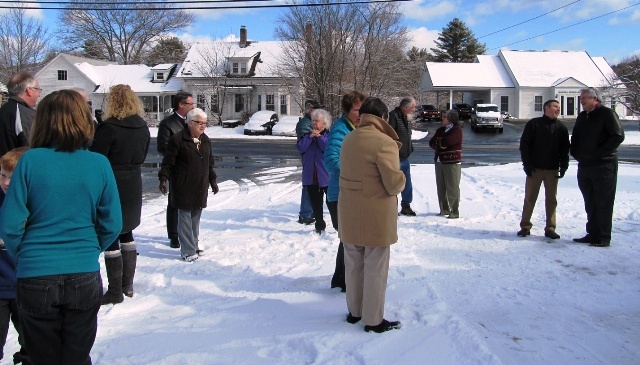 The Town applied for a FEMA Grant to make repairs. 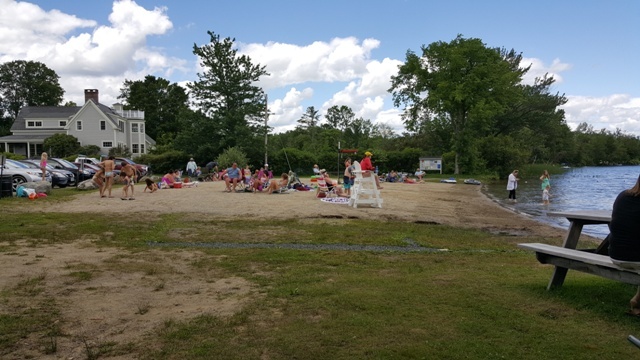 Thanks to the Recreation Department, many people have enjoyed a safe and fun summer at the Canaan Street Beach! 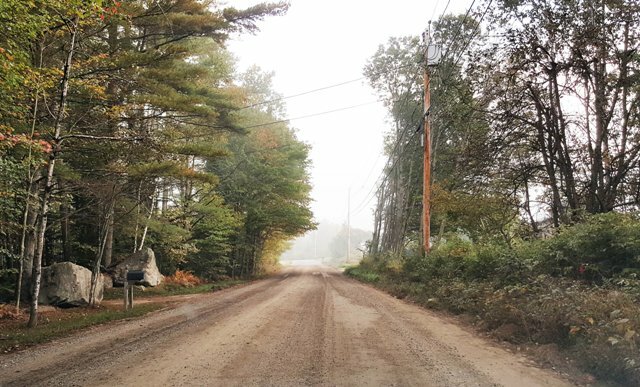 Thanks to a one-time grant from the State of NH for $135,000, additional paving work will be done on Jones Hill Road in 2017 and a new precast concrete culvert will be installed on Prospect Hill Road in 2018. These are the standard Holiday Observances. Please watch the News & Alerts Tab for other closings or changes in this schedule. Administrators Hours: Mon-Fri: 8-4 If front door is locked, please use back door. The Transfer Station is closed on the following holidays: New Years Day, Independence Day, the Saturday before Labor Day, Thanksgiving Day, and Christmas Day. Are You Looking For. . ."